Former Education Secretary Arne Duncan recently stepped away from his ventures to discuss his new book How Schools Work: An Inside Account of Failure and Success from One of the Nation’s Longest Serving Secretaries of Education. Few teachers were impressed with Duncan in this role. He never worked in a school. He’d never been a teacher. He never faced the difficulties teachers face. I have not read his book. I know who Duncan is by what he did (or failed to do) when he led public schools in Chicago, as education secretary, and by his actions now. If there’s any doubt about Duncan’s role as education secretary one only needs to look at what he supports today. He’s a cheerleader for more privatization especially through technology. DreamBox Learning: Is a K-8 Math Technology Company that secured $130 million from a venture capital firm called The Rise Fund. Duncan is senior education advisor to The Rise Fund, and he will join DreamBox’s board of directors. (August 1, 2018). Emerson Collective: He is a managing partner for this philanthropic organization run by Laurene Powel Jobs. While there are some worthy initiatives the Emerson Collective supports, they also include XQ Super Schools where they criticize public high schools as “factory run” and want to redefine schools their way. Brookings Institute: Duncan is a nonresident senior fellow for this think tank. 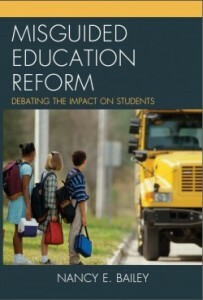 Brookings focuses on education policy, but they never have a nice thing to say about public education or teachers. Pluralsight: This is a Utah-based company that develops online courses for technology professionals. Revolution Foods: Should this country rely on outsourcing food services instead of relying on local individuals to improve the quality of food for children? Have cafeteria services been defunded in order to privatize such services? Isn’t there a way to improve school cafeteria services through the local school district? Lucas Museum of Narrative Art: This hurts to read, when you stop to realize that the arts were removed from so many poor schools with NCLB. What did Arne Duncan do to return the arts to all public schools? Ariel Investments: An investment company. I wondered about Social Impact Bonds, but there seems to be nothing wrong here. Communities in Schools: Duncan is mentioned here since he is tied to the Emerson Collective. Many charter schools call themselves “community schools.” This muddies the water as to the difference between a real public school and a nonprofit or for-profit charter school. The Obama administration’s Race to the Top was hostile to public education, favoring charter schools, tying teacher evaluations to flawed test scores, Common Core, New Leaders, Teach for America, and aligning standards to instruction. Duncan championed these causes and continues to do so. He begins his book “Education runs on lies.” This is an insult to every authentic educator who will show up to teach children in the coming weeks. He talks about knowing poor children, but until you’re responsible for instructing thirty (or more) struggling students in an overcrowded classroom, lacking resources and support on a daily basis, you have no right to judge teachers. If only Duncan had been supportive. If he’d stood for teachers and their rights as they help children, maybe he would have been liked. But Duncan was a reformer’s reformer, put in place to privatize public schools. We never saw him fighting for better services for students with disabilities, reducing class sizes, or better public school programs to serve a diverse student body. Did he join teachers in West Virginia, Oklahoma, Colorado, Kentucky, or Arizona as they struggled to get better public schools for their students? Duncan has not been vested in student learning as much as business deals that would lead to more tech initiatives. Betsy DeVos is also a cheerleader for technology. Before DeVos, there was Duncan. Her message is his message with a twist. He paved the way for her. Neither party seems to help the education system in the country. When did the federal government get involved? I’m guessing when they provided funding. I’m no expert but local county control sounds good to me. In polk county fl where I am they are slowly voting out the old establishment board members. I think there are 3 or 4 former teachers running. I wish I could say local was always best, but it depends. Local, state, and the federal government can all be corrupted. Let’s hope we get political candidates who change the equation at all three levels! Thanks for commenting, Richard! You forgot one of his ventures. He is now with Dreambox learning. Lisa, thank you! I remember reading about that but forgot. I will add. Wow! Really interesting, Lisa. And it is recent. August 1st. Thanks again for sharing! Thanks again, Nancy! Sunlight is truly the best disinfectant. You nailed him! He was horrible and he put things in place for Betsy to finish. Both parties are corrupt and run for corporate interests. He was against the unions and he had that stupid “Race tot he Top” which people called, “Race to the Trough.” Can’t believe anyone would buy his book to learn anything about educating children. Might be useful way to learn how to ruin public education. It is strange he is such a believer in tech since his mom was a teacher who ran such a good afterschool program. He seems to understand that children need real personal attention, but they won’t get that with total tech. Thanks for commenting, Nancy. I think you need to understand Duncan within the neoliberal context of impact investing. You know Heckman and the University of Chicago School of Economics and Richard Thaler at the Booth School were very close with Rahm and Obama. They are the ones hatching “social innovation” plans of which school privatization is but a part. Duncan was a tool for that agenda. There’s a lot to take in here, Alison. Thank you for posting. It’s troubling to read the Mastery Transcript Consortium claiming “transcripts are broken.” Who said? And apprenticeships are overblown. No wonder parents are worried. Arne D. is anti-public schools and wants to support only charter schools as well as online-learning for profit education. The teaching profession is being taken over by inept legislators in many states. Betsy DeVos is destroying all education except for private schools with religion of her choice. Sadly the American people sit idly by. 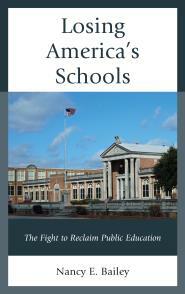 We all need to speak up and make all public schools great across this country.